The Immigration Act of 1924 stopped East Asians from migrating to America. To promote goodwill and ease the friction between the two countries, former missionary Dr Sidney Gulick, who had spent many years in Japan, participated in the formation of the Committee on World Friendship Between Children. In 1927, the first program was to send almost 13,000 of what were called the American blue eyed dolls, also known as Friendship dolls, to Japanese children. It took into account the importance of dolls in Japanese culture. Each doll travelled with a passport, tickets, and a change of clothing. The doll delivery was to coincide with the Hinamatsuri, the yearly Japanese Doll Festival. This little-known historical fact was the inspiration for this book. The story begins in Portland, Ohio, 1926. Eleven year old Lexie lives with her grandparents after her unconventional, widowed mother remarries a man who doesn’t want kids around. Jack’s house connects with Lexie’s grandparents’ home by a tree branch that extends from his window to hers. They are secretly friends but enemies at school and in public. Jack double dares Lexie to find, pick up and hold the Friendship doll that the school children had raised money to buy. This forbidden act leads to a complex web of half-truths, white lies, and humiliation for Lexie and her grandparents. A letter writing competition is announced. The best letter will accompany the doll to Japan. Lexie longs to see her mother and when an undreamed of opportunity arises Lexie knows she must be the winner. Spoilt, rich Louise is always in the light. Her popularity is threatened when the focus begins to fall on Lexie. High expectations by her parents lead the devious Louise to steal Lexie’s far better letter and claim it as her own. The whole competition becomes a nightmare when Lexie is accused of lying and dishonouring her grandparents. Armed with her mother’s and grandmother’s ethics and teachings, can Lexie rise above all these challenges with her chin up? This is a unique, multi-layered storyline with the Friendship dolls as the main tier. All the other themes are strong supports of a unique structure. The main theme is truth: how it is misused, abused, falsely claimed, but ultimately rises to the surface. Other themes include love and pride, relationships between children and grandparents, friendship and loyalty, the importance of being yourself, and finding your place in life. This extraordinary book is for the 8+ age group. 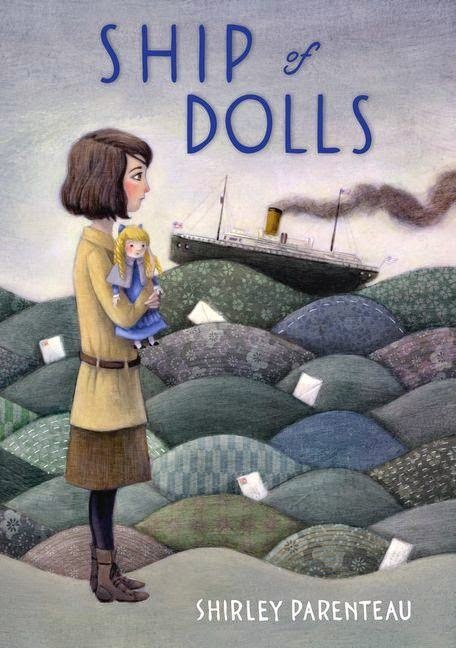 Further research is recommended to those interested in the incredible history behind the Friendship dolls.